Although they are available all year round, apples are at their best around fall or autumn. Apples are a staple in our house. They make for a good quick snack and always a welcome treat in any lunch pack. But sometimes when we have bought too much and aren’t eating them fast enough, I find ways to use them up quick and the best way to do that is to cook them into something. The easiest is to simply cook them up in butter and sugar and use them to top anything as we did with the Dutch baby pancakes. 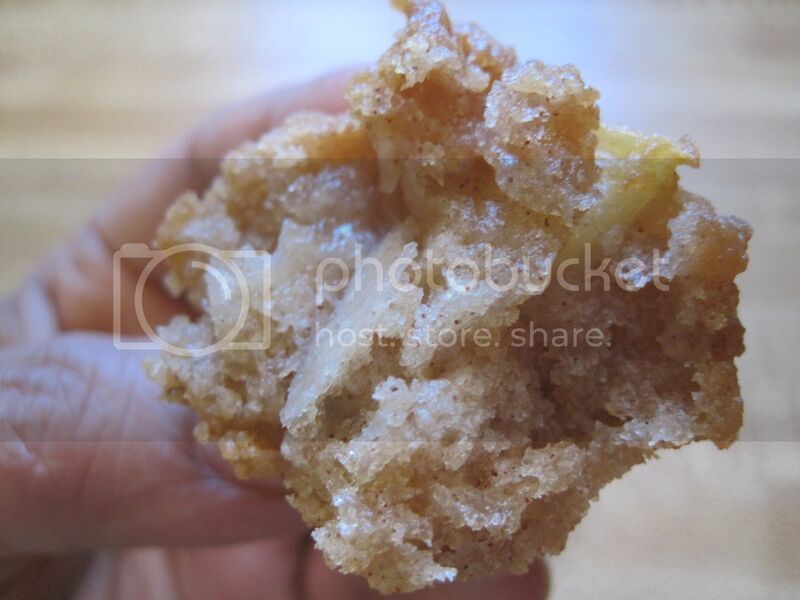 You can also make apple pie or incorporate them into breads or bread puddings. 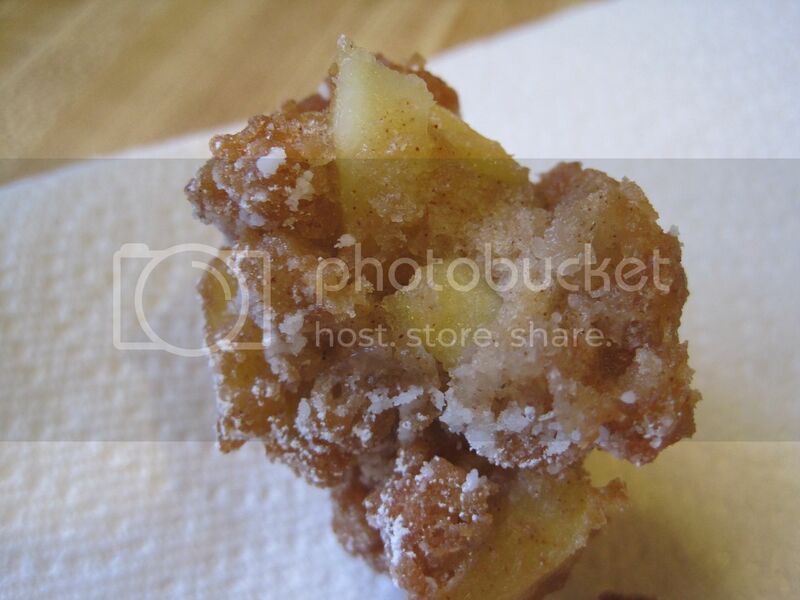 This time around, I had a taste for something fried so I thought I would make them into bite sized apple fritters. 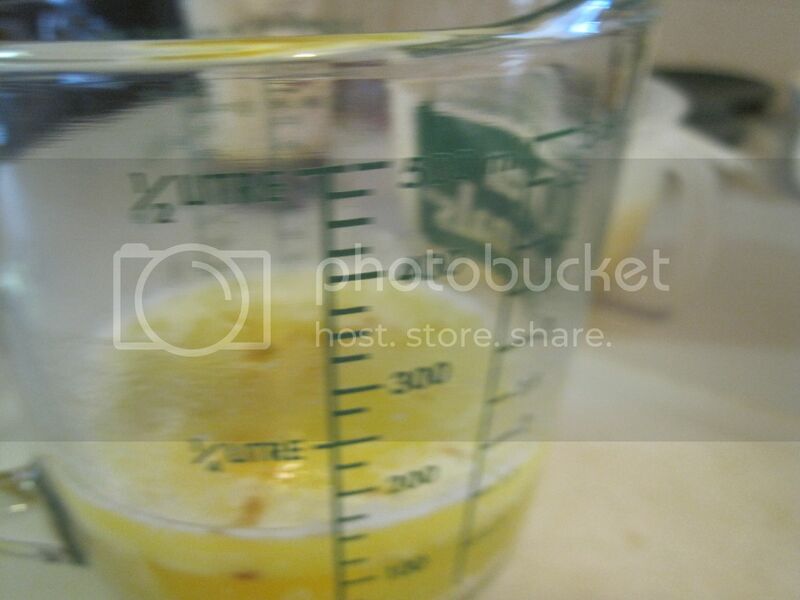 The recipe is at the end of this post. 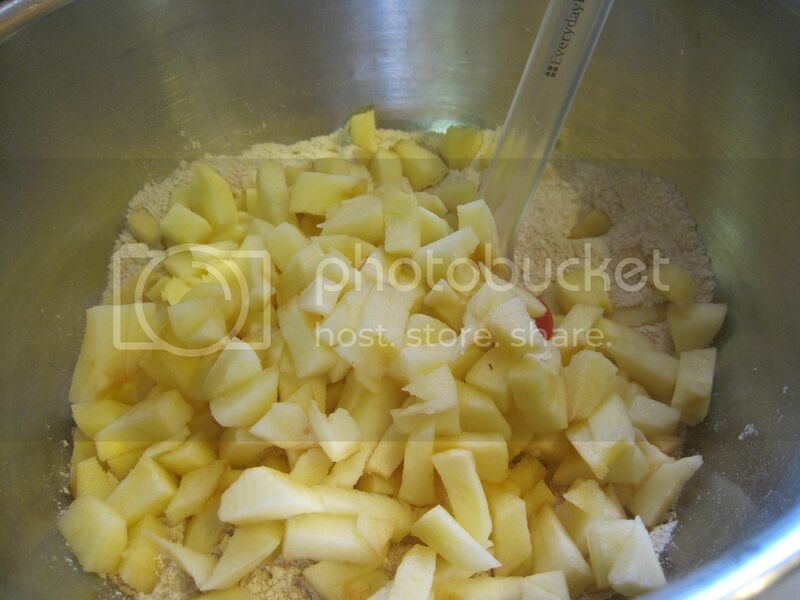 In a separate bowl, mix all your dry ingredients and the chopped apples. 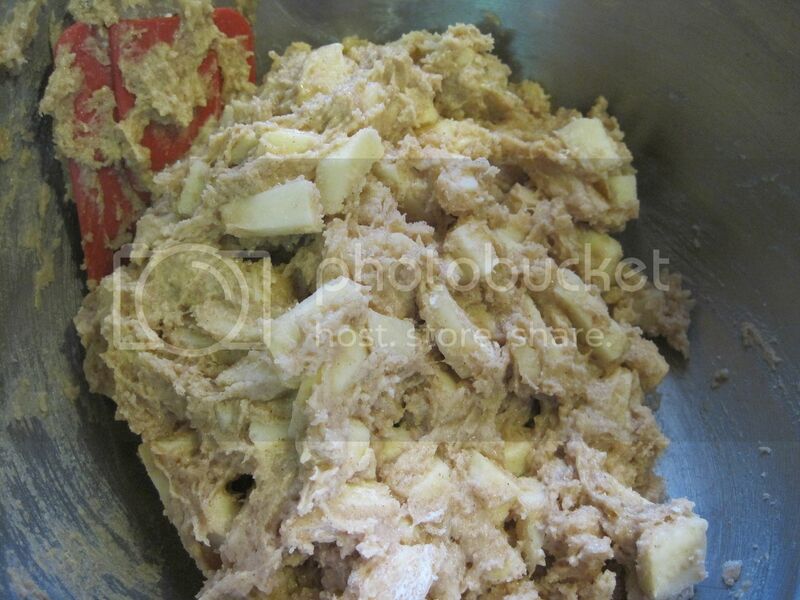 Add the liquids and mix just until it comes together as a dough. It will be thick just like in the photo. You want it that way so you can form your spoonfuls easier. 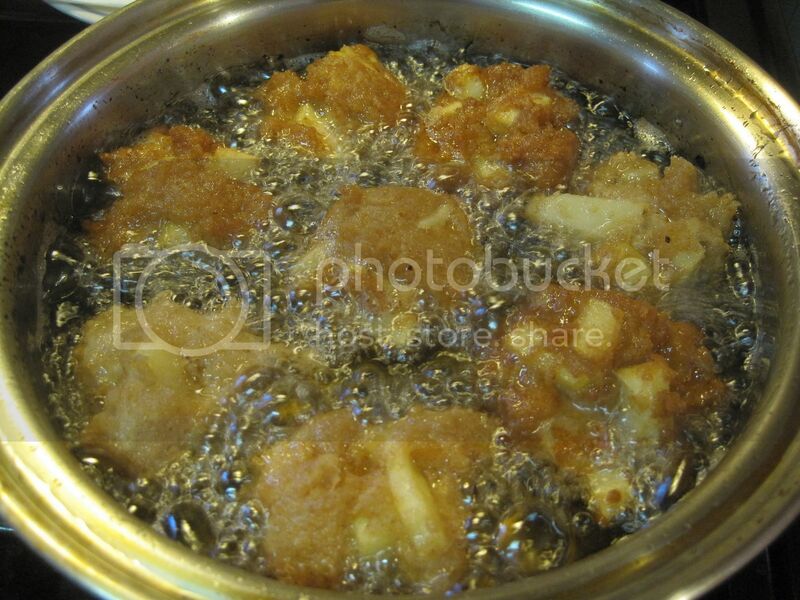 Heat up your oil in a deep fryer and do a couple of test runs to test the temperature of your oil. 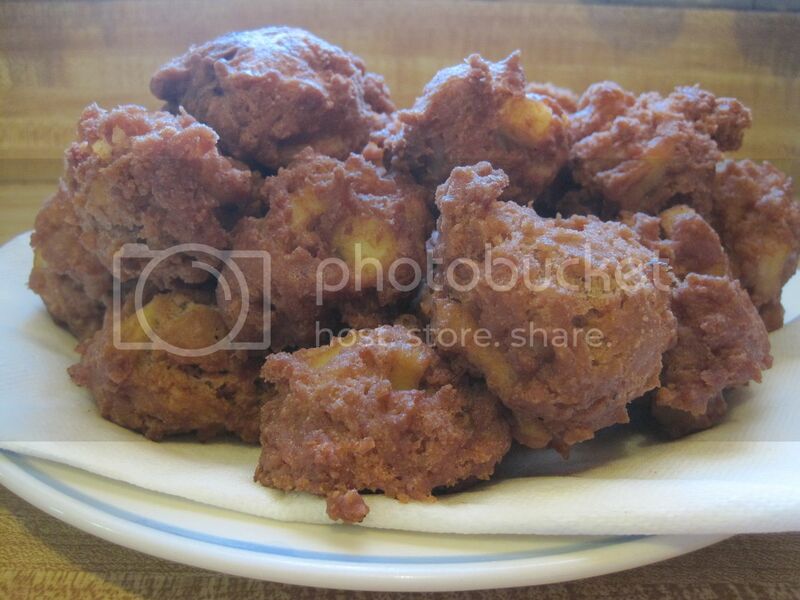 You want it hot enough to brown your fritters nicely, but also cook it all the way. As you can see, this first one was a bit overdone on the outside. Not only was it too dark on the outside, the inside was also still raw. 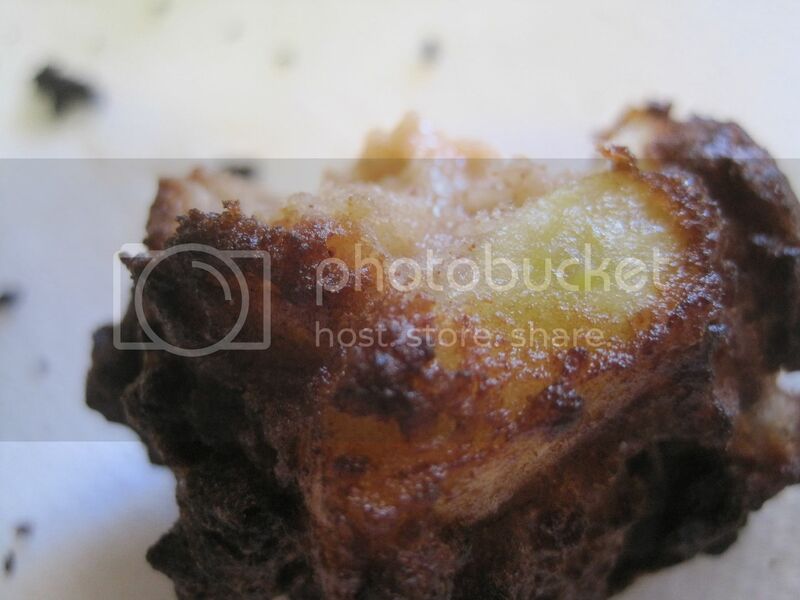 I started the oil at about 375F for deep frying but oviously that was a bit too hot. Let the oil cool a bit and try again. I turned the heat down to about 350F and they started to brown a little bit more calmly but not too long that they stayed in the oil too long to absorb too much of it. These came out perfectly and cooked all the way inside. You can leave them bare like this or roll/sprinkle them with powdered sugar. See, perfectly cooked, yummy and not greasy. 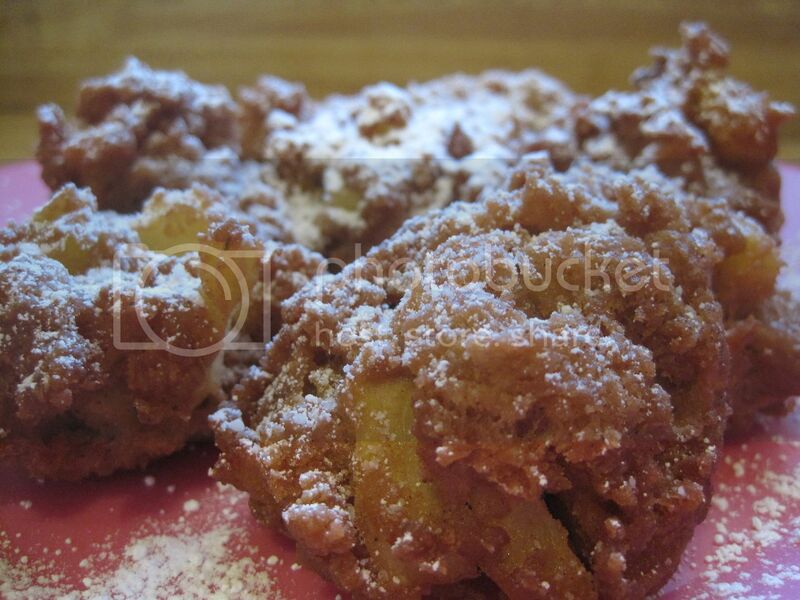 If you love fried dough and if you love apples, then this recipe is perfect for you. 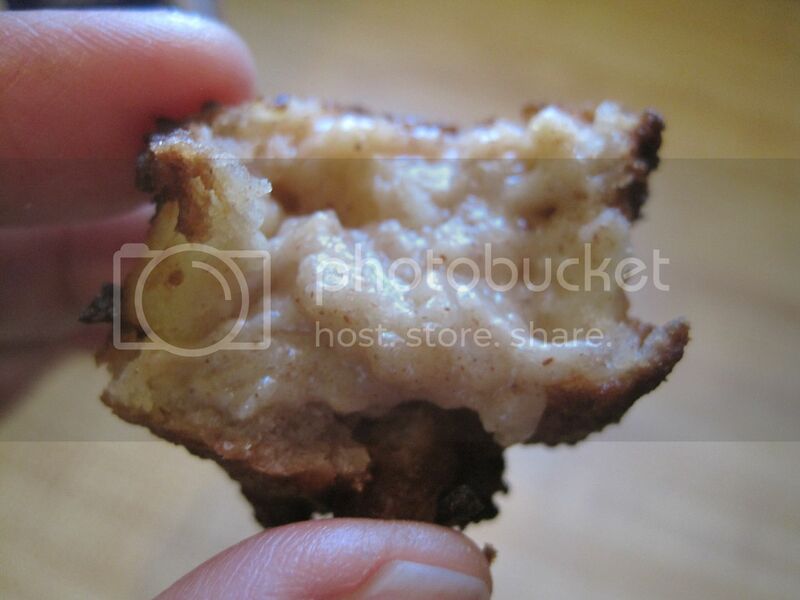 Using two spoons, form the batter into 1 inch balls and drop into fryer. Cook until nicely browned and cooked through. Drain excess oil on paper towels or on a rack and sprinkle with powdered sugar. My Best Apple Pie Yet!